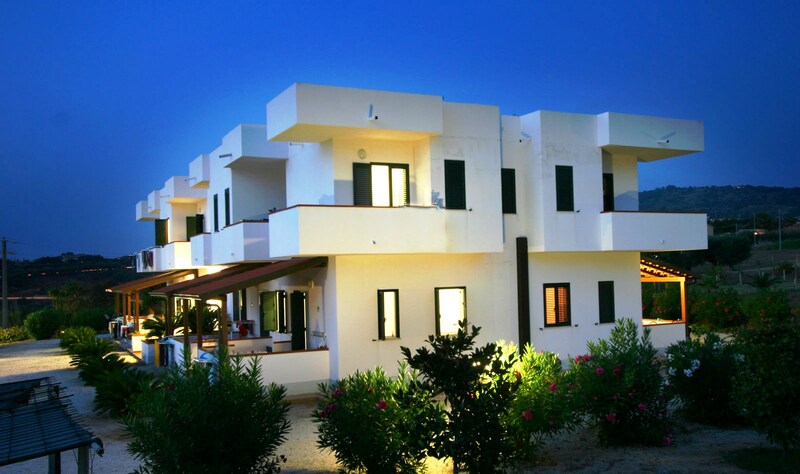 The reception, bar and swimming pool are all centrally situated as well as the main entertainment area. is a brick and cement building in which all the apartments have one or two bedrooms. All have a living room with a kitchenette (equipped with crockery and fridge with small freezer compartment), bathroom with shower, ceiling fan, T.V. 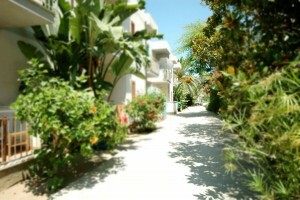 with Sky basic and sport and either a furnished veranda or balcony (beach umbrella included). Bedroom, bathroom and kitchen linen is not provided. Trilo4B: 1 double bedded room, hall with bunk bed, bathroom, kitchen and outside gazebo. 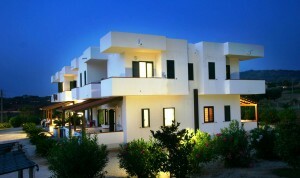 The New Limoneto residence is a new building with 22 confortable and elegantly furnished apartments. Standing in 50,000 square metres of land just 450 metres from the sea and 250 metres from the Residence Limoneto where the reception, bar and swimming pool can be reached internally by a flight of 130 steps. is a brick and cement building in which all the apartments have one or two bedrooms. All have a living room with a kitchenette (equipped with crockery and fridge with small freezer compartment), bathroom with shower, T.V. with Sky basic and sport and either a furnished veranda or balcony (beach umbrella included). Bedroom, bathroom and kitchen linen is not provided. TIPO A – BILO 4 POSTI: 1 double-bedded room + 2 single beds, bathroom, living-room with fully equipped kitchenette, furnished veranda (all on ground floor). TIPO B – BILO 4 POSTI: 1 double-bedded room, bathroom, living-room with fully equipped kitchenette and bunk bed, furnished veranda (all on ground floor). TIPO C – BILO 5 POSTI: 1 double-bedded room + 1 single bed, bathroom, living-room with fully equipped kitchenette and bunk bed, furnished veranda (all on ground floor). TIPO D – SUPERBILO 5 POSTI: 1 double-bedded room, living-room with bunk bed+ 1 single bed, small fully equipped kitchen, bathroom, furnished terrace (all on first floor). TIPO E – TRILO 5 POSTI: 1 double-bedded room, 1 room with bunk bed, living-room with fully equipped kitchenette and 1 single bed, bathroom, furnished terrace (all on first floor). If required, single bed in living-room can be made into bunk bed for 6th person. TIPO F – TRILO 5 POSTI: 1 double-bedded room, 1 twin-bedded room, living-room with fully equipped kitchenette and 1 single bed, bathroom, furnished terrace (all on first floor). If required, single bed in living-room can be made into bunk bed for 6th person. Excursions to the Aeolian Island and archeological sites in Calabria can be arranged subject to availability. For all bookings, during all periods, the cost of your motorway toll (return ticket) from the place of origin (in Italy) to the Limoneto Residence and back will be reimbursed on production of motorway receipt (The offer cannot be combined with other ongoing offers).